Labor Law Pointers - Volume VII, No. 13 | Hurwitz & Fine, P.C. Do you have a situation? We love situations. Give us a call, we are here to help with any situation. I love our first picture this month. Standing on the head of a co-worker seems a perfectly reasonable way to reach that last few inches. 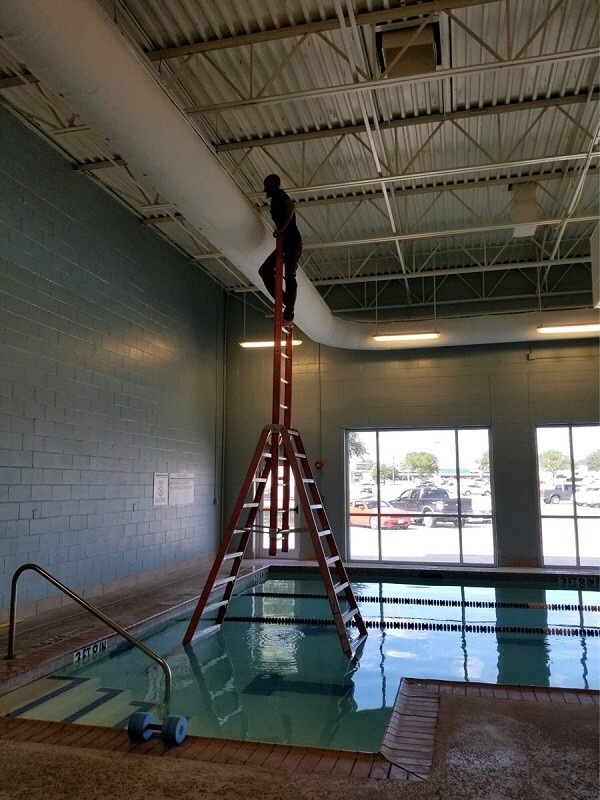 Following the fall, can we claim that the painter was provided an appropriate and available safety device? Remember that a person can’t ever be a safety device and thus none was provided. I have no words for this one other than, "Oh my God." When your lift only gets you up eight or nine stories, it just seems logical to take a ladder up with you to get up that additional story. I get a bit weak in the knees even looking at this picture. Here is the Rube Goldberg of all scaffolds. If and when a plaintiff falls from this one, no expert in the land will opine that it was an appropriate safety device. Two ladders held together with straps, pieces of wood, rope, and pics does not a scaffold make. If you are not sure what a Rube Goldberg device is, just click on the hyperlink above. In fact, all case names, our names and statute cites are also hyperlinks which will take you directly to the official decision, create an email to us, or to the actual statute or regulation. 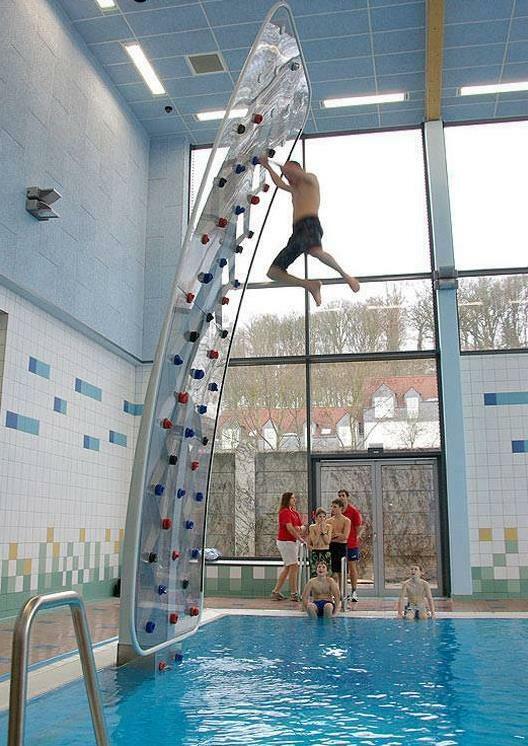 I love this one, using the pool as a safety device. When the plaintiff falls, here is the question; if he is injured in the fall and breaks his arm, is that a labor law case? If he falls, is not injured, but drowns as he does not know how to swim, is that a labor law case? My position on the drowning is if he is okay after the fall but dies because he does not know how to swim, it is not a labor law case, as gravity did not cause him to drown. See below: the test and training center for the new “pool safety” device being marketed by Acme, famous manufacturer of ill-fated devices. Here is my favorite: the concrete guillotine. Assume the plaintiff lifted the slab in this manner and then decided that it was a marvelous idea to stick his head where the slab had been. When the chain then fails, causing the slab to recreate the demise of Louis XVI, is it a Labor Law case? The obvious argument is that this is a clear sole proximate cause defense as the plaintiff was the one who set up the situation which killed him. Presumably a court will agree that it is simply reasonable that with an arrangement like this, the plaintiff must have known not to stick his head under the slab. The final answer unfortunately is likely what department are you in. Second and Third: likely sole proximate cause; First and Fourth: likely summary judgment for the plaintiff. 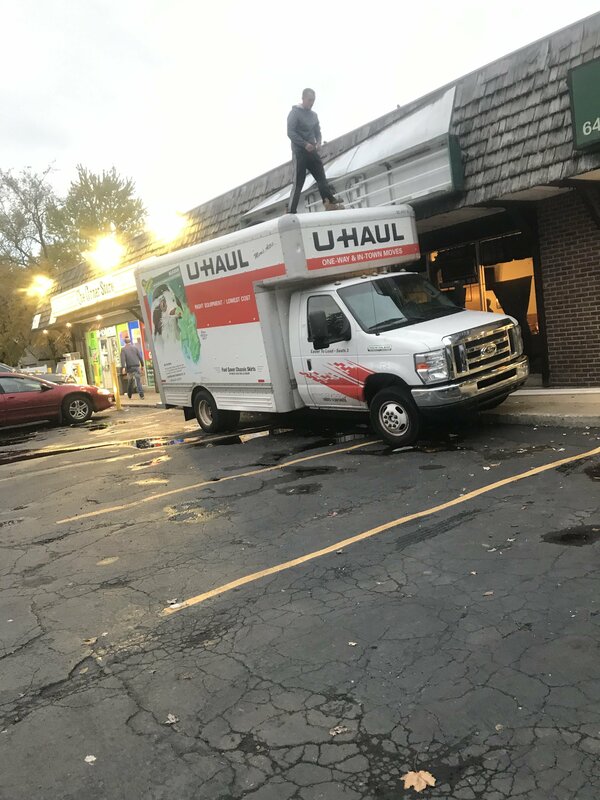 And last but not least, from the “you can’t make this stuff up” department, a photo from Dan Kohane taken on his way home last night and sent to me immediately. If the plaintiff falls from the top of the truck and is injured, does he have a valid Labor Law case? Yes he does. No sole proximate cause here as an essential element, the availability of an appropriate safety device, seems to be lacking. The top of a truck will not qualify. As an additional note, we had wind gusts of up to 60 MPH last night--plaintiff could have been blown into the next county. That is it for this month. As always, we are here to answer any question you may have, just give us a call. For any of you who do not have my cell phone number, it is 716-553-6901. Feel free to call any time--I love the complex questions. Remember that our sister publications, Coverage Pointers ([email protected]) and Premises Pointers ([email protected]) are available for the asking for the same price as Labor Law Pointers, absolutely free forever. They are outstanding newsletters and cover their areas of law with in-depth analysis and practice pointers designed to help keep busy claims professionals up to date on changes in the law and to provide helpful tips. Plaintiff's employer was hired to erect, move, and adjust rolling scaffolding to facilitate B & H’s inspection of the Manhattan Bridge. The trial court denied the summary judgment motions of defendants City of New York and B & H, seeking dismissal of the Labor Law § 241(6) claim predicated on an alleged violation of Industrial Code regulation (12 NYCRR) § 23-1.30, Labor Law § 200 and the common-law negligence claims, as well as the cross-claim against B & H, and granted the motions to the extent of dismissing the § 241(6) claim predicated on a violation of Industrial Code regulation § 1.7(b)(1)(i). The First Department unanimously affirmed, finding the large rolling pipe scaffold that plaintiff helped erect and alter constituted the construction and alteration of a structure under Industrial Code § 23-1.4(b)(13). The Court agreed with the trial court’s finding of an issue of fact as to regulation 1.30 and whether the light at the site (the hole into which plaintiff stepped) was adequate, and dismissal of regulation 1.7(b)(1)(i) because the area into which plaintiff fell did not constitute a hazardous opening. The First Department held liability under Labor Law § 200 and common-law negligence could not be imposed on B&H based on the methods and means of the work because there was no evidence B&H provided any supervision or direction over plaintiff’s work on the scaffold. However, the court found a question of fact regarding whether B&H might be liable for a dangerous condition on the premises. The evidence demonstrated the hole, along with the alleged inadequate lighting, was a dangerous condition created by B&H when its inspectors removed lighting originally given to plaintiff and his coworkers. 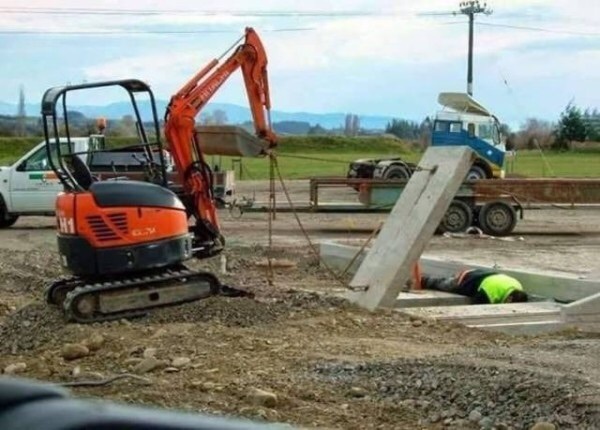 PRACTICE POINT: When evaluating a claim under Labor Law § 200 and common-law negligence, one must consider both exposure under a means-and-methods argument as well as the potential for liability due to dangerous conditions on the premises (i.e. , premises liability claims). Plaintiff allegedly fell from a ladder while employed as a sign installer for nonparty Capitol. This work was performed for the opening of new retail store owned by the Steinway defendants and operated by defendant Express. Express retained Russco as the general contractor, who had a preexisting contract with Ruggles, to manufacture and install signage and awnings at the project. Ruggles subcontracted the installation of the signage and awnings to Capitol. 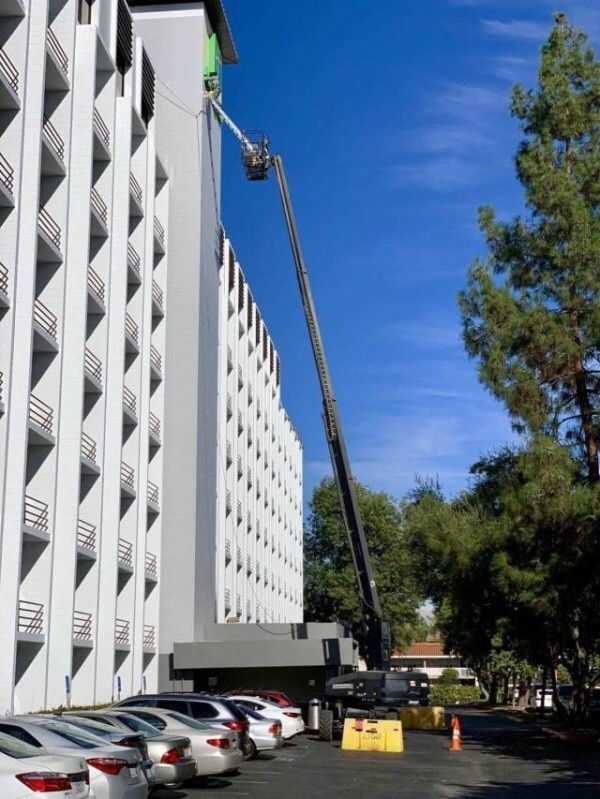 Plaintiff testified, because the sidewalk was congested with pedestrian traffic, he set up the ladder parallel to the building and straddled atop the ladder, one foot on each side. He was installing clips onto the facade of the building by drilling holes when the drill jammed. When he attempted to release the drill, he lost his balance, dropped the drill, and the ladder “started peeling off the wall”. He jumped off the ladder to avoid falling with the ladder, and was injured. George Kavelski, Capitol’s shop foreman, testified plaintiff “lost his balance, was unable to regain it, and stumbled off the ladder” and that “he had the drill and then something happened and I saw his hand move and, next thing I know, he was on the ground.” He also testified the ladder remained standing after plaintiff's fall. The trial court granted plaintiff’s summary judgment motion for partial liability on his Labor Law § 240(1) claim against Russco, Express, and the Steinway defendants, denied Russco’s summary judgment motion seeking dismissal of the Labor Law § 240(1) claim against it and to amend its answer to assert a cross-claim for contractual indemnification against Ruggles, granted Ruggles’ summary judgment motion dismissing the § 240(1) claim against it, and granted summary judgment to Express on its contractual indemnity claim against Ruscco. The First Department affirmed the trial court’s decision to grant plaintiff's motion for partial summary judgment against Express and the Steinway defendants as plaintiff established, prima facie, that his accident was caused by Express and the Steinway defendants’ failure to provide an adequate safety device to prevent plaintiff from falling off the ladder, and defendants failed to raise an issue of fact as to whether plaintiff was the sole proximate cause of his incident. The Court also affirmed denial of Russco’s motion, finding an issue of fact as to whether its obligations as the general contractor on the project extended to plaintiff’s work. The Court highlighted the contract between Express and Russco’s carve-out provision stating that all signage and awning work on the project would be furnished and completed by a separate vendor hired by Express, which, in this case, was Ruggles. The Court noted Russco’s only responsibility vis-à-vis Ruggles was to provide Ruggles access to the project site and to coordinate the timing of the work Ruggles was hired to perform. Thus, based solely the carve-out provision, the Court noted Russco would not have any liability to plaintiff under Labor Law § 240(1) as it had no authority to control the work plaintiff was performing. However, the contract also stated Russco is responsible for “taking all reasonable safety precautions to prevent injury or death to persons or damage to property” and that such responsibility extends “to the protection of all employees on the Project and all other persons who may be affected by the Work in any way” (emphasis added). Accordingly, the Court held that reading these contractual provisions together creates ambiguity as to whether Russco’s site safety obligations extended to the signage and awning work that plaintiff was performing when his accident occurred. As the Court could not determine, as a matter of law, that Russco was not responsible for plaintiff's safety while he was working on the project, Russco was not entitled to summary judgment dismissing the Labor Law § 240(1) claim as against it. The Court further held that the Labor Law § 240(1) claim should not be dismissed as Ruggles was a proper Labor Law defendant because it was a statutory agent of Express, who hired Ruggles as the sole contractor responsible for the manufacture and installation of all signage and awning work on the project, which was the work plaintiff was performing when he sustained his injuries. Although Russco may be found liable based on its site safety obligations with regard to the signage and awning work, there is no question that, pursuant to the contract between Ruggles and Express, Ruggles was delegated the supervision and control over such work. Moreover, the Court noted Ruggles may not escape statutory liability based on its delegation of the signage and awning work to Capitol. 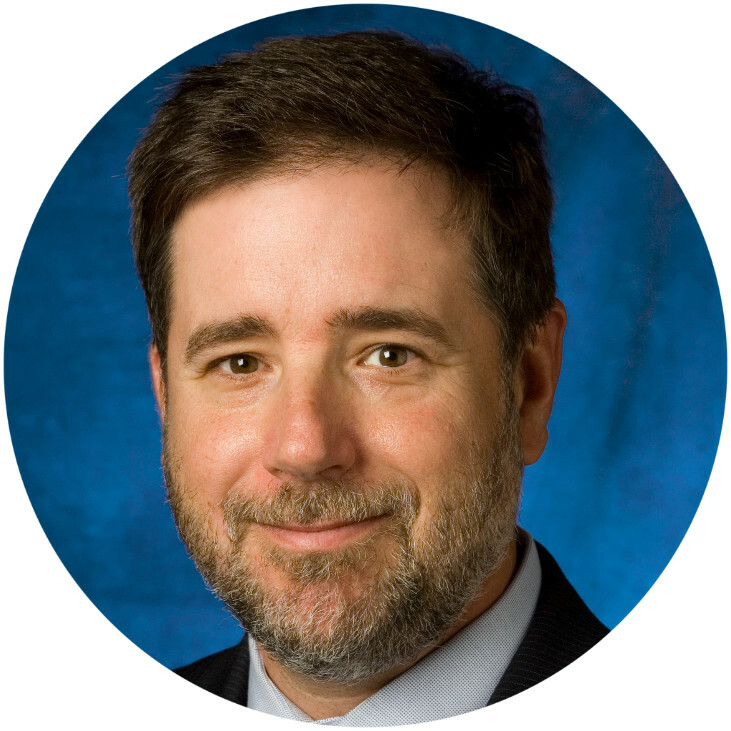 PRACTICE POINT: The most pressing issue here is the manner in which the First Dept. addresses the sole proximate cause issue. They held that the fact that the plaintiff set up the ladder was not the sole proximate cause of the accident as “(T)he manner in which plaintiff set up and used the ladder does not constitute evidence that plaintiff was the sole proximate cause of the accident as there is no dispute that the ladder was unsecured and that no other safety devices were provided to plaintiff." This is important as it is an indication that the First Dept. is moving with the Second Dept. toward allowing the actions of the plaintiff in setting up the ladder to be a sole proximate cause element. Here the ladder was an A frame ladder so I am not sure how they would have recommended it be secured. As always, I recommend that an expert be retained as the sufficiency of the safety device is appropriate for expert opinion while the necessity of a safety device is generally not. Plaintiff allegedly forced his way through a locked door at a construction site or rather, as he claimed, plaintiff walked through the subject door as it was unlocked. After gaining access to the project, plaintiff allegedly was injured. The trial court denied the Stewart defendants’ summary judgment motion to dismiss the complaint alleging common-law negligence and violations of Labor Law §§ 240(1), 241(6), and 200. The Stewart Defendants contended neither plaintiff nor his employer had been retained to perform work on the subject project, but plaintiff claimed the Stewart Defendants retained his plaintiff's employer to perform work at the project. The Second Department affirmed the trial court’s decision, finding the Stewart Defendants met their prima facie burden of establishing plaintiff’s Labor Law §§ 240(1) and 241(6) claims did not apply to them because neither plaintiff nor his employer were retained to perform work on the subject project. In opposition, however, the Court held plaintiff raised an issue of fact as to whether the Stewart Defendants retained his employer to perform floor installation work. PRACTICE POINT: So the issue is that to be a valid case the plaintiff needed to be a “person so employed”. If the plaintiff was not there to work, and to be paid for that work, he is not a valid plaintiff and the case will be dismissed. The Second Department also affirmed denial of summary judgment as to plaintiff’s Labor Law § 200 and common-law negligence claims. 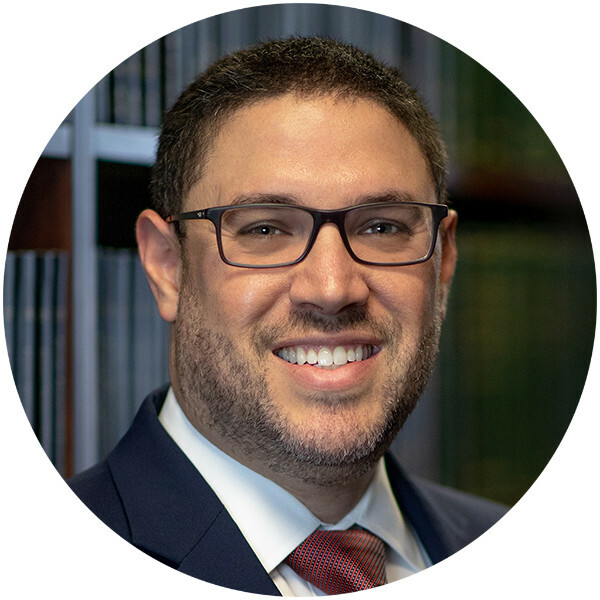 While defendants met their initial burden of proof by establishing plaintiff allegedly forced his way through a locked door and that such conduct was the sole proximate cause of his injuries, plaintiff created a question of fact by offing his own testimony the door was unlocked. Defendant City of New York and the Department of Sanitation of the City of New York were owners of the work site where plaintiff, a plumber, allegedly sustained injuries while moving an air compressor, weighing in excess of 600 pounds. Plaintiff was a plumber employed by the third-party defendant, A & A, who was hired by defendant, Prismatic. After plaintiff and two coworkers had removed the compressor from its shipping crate, they placed the compressor on top of a pallet jack. Plaintiff pushed the compressor from behind while one coworker pulled the pallet jack by the handle, and the other coworker pushed the compressor from the side. As they moved the pallet jack and the compressor across the floor, the wheel of the pallet jack struck a small piece of concrete debris causing the pallet jack to stop short and the compressor to roll off the pallet jack and onto plaintiff's ankle. The trial court denied plaintiff’s summary judgment motion with respect to partial liability on his Labor Law §§ 240(1) claim, and granted defendants’ summary judgment motion dismissing the complaint alleging violations of §§ 240(1), 241(6), 200 as well as common-law negligence. The Second Department affirmed as defendants established prima facie that plaintiff's injuries were not caused by the elevation or gravity-related risks encompassed by Labor Law § 240(1). In opposition, plaintiff failed to raise a triable issue of fact. For the same reasons, the Court affirmed the trial court’s denial of that branch of plaintiff's motion which was for summary judgment on the issue of liability with respect to his § 240(1) claim. PRACTICE POINT: This is why we love the Second Dept. The object never fell, it just slid off the pallet jack and struck the plaintiff’s ankle. Not at all sure this would have been the result in the First or the Fourth. The Second Department affirmed dismissal of the Labor Law § 241(6) claim premised on alleged violations of Industrial Code regulations 1.7(e), 1.27(a), 1.28(a), and 2.1(a) because defendants established these regulations were either inapplicable under the circumstances or lack the specificity required to qualify as a predicate to liability. Regulation 2.2(d) is entitled “Stripping” and states “[a]fter stripping, forms shall be promptly stockpiled or removed from areas in which persons are required to work or pass. Protruding nails, wire ties and other form accessories not necessary for subsequent work shall be pulled, cut or otherwise made safe”. Although plaintiff only identified regulation 2.2(d) for the first time in opposition to defendants’ motion, the Court held it was not fatal to his claim since no new factual allegations were involved, no new theories of liability were set forth, and no prejudice was caused to defendants. The Court further held defendants failed to demonstrate 2.2(d) was inapplicable under the circumstances, that the regulation was applicable but not violated, or that a violation of the regulation was not a proximate cause of plaintiff’s injuries. As a result, the Court reinstated the Labor Law § 241(6) based upon an alleged violation of regulation 2.2(d). The Second Department affirmed dismissal of plaintiff’s claims under Labor Law § 200 and common-law negligence against the property owner defendants, finding they had met their burden of proving they did not create or have actual or constructive notice of the alleged hazardous condition on the property. However, it reversed summary judgment in favor of the general contractor on that claim, holding neither party’s submissions eliminated the triable issues of fact regarding whether the general contractor created a dangerous condition on the floor which caused the pallet jack to stop short. Plaintiff, a fire marshal, allegedly tripped on a pile of debris walking from an electric room on the top level of an underground parking garage while in the process of conducting an inspection of the heat sensors and sprinkler heads of the fire alarm and sprinkler systems at Granite’s office building. Lalezarian was the managing agent of the building. Kulka was the general contractor for the construction project, and Granite hired STAT to install a sprinkler system in the building. The trial court denied STAT’s motion for summary judgment dismissing Grantie’s claims for contribution and contractual and common-law indemnification, dismissing the cross-claims asserted against it by Kulka for contribution and contractual and common-law indemnification, and dismissing the Labor Law § 241(6) claim asserted against Granite and Lalezarian. The Second Department affirmed denial of STAT’s motion seeking dismissal of the claim against Granite and Lalezarian on the grounds that plaintiff was not within the class of persons entitled to the statutory protections under Labor Law § 241(6). The Court held STAT’s proof demonstrated that construction was still ongoing when plaintiff’s incident occurred, and plaintiff’s inspection work was “essential and integral to the progress of the construction”, citing McNeil v LaSalle Partners, 52 AD3d 407 (1st Dept 2008). Additionally, the Court held STAT failed to establish that Industrial Code regulations 1.7(e)(2) and 1.30 did not apply to this case. STAT moved to dismiss the cross claims of Kulka and Granite on the basis that both parties bore some share of negligence relative to this loss. In finding for STAT, the Appellate Division first noted the maxim that a party to a construction contract cannot be indemnified for its own negligence. Further, with regard to the claim for common law indemnification, the party seeking indemnity must establish both that it was free of negligence and the party from whom indemnity is sought was, in fact, negligent. Here, STAT proffered evidenced that established various trade contractors were piling debris at a certain location on the jobsite. It followed that both Kulka and Granite had certain responsibilities with respect to removal of the debris. Where there was the existence of some level of negligence against Kulka and Granite, it followed that both the common law indemnity and contractual indemnity claims should have been dismissed. On the contrary, the Court ruled that the trial court properly denied STAT’s application to dismiss Kulka and Granite’s cross claims for common law contribution. Unlike indemnity, a negligent party is entitled to allocution of its respective share of liability among all other negligent parties. Here, because STAT failed to establish itself free from possible negligence, its claims dismissing common law contribution failed. Peiper’s Point - A quick note about this decision. The Court dismissed the contractual indemnity claims of Granite and Kulka on the basis that they had shared in some percentage of the fault. Had the indemnity clause at issue contained “savings” language (ie., “to the fullest extent of the law”), Granite and Kulka would still have a claim for contractual indemnity for any exposure they may have faced which was not applicable to their apportioned share of negligence. Without the “savings language,” the existence of any negligence voids the entire provision. Petitioner allegedly was injured while standing on the second floor of an external scaffold, when he was struck by a falling scaffold plank while performing renovation work. Approximately seven months later, he commenced this proceeding for leave to serve a late notice of claim upon the City of New York, the New York City Department of Education, and the New York City School Construction Authority (hereinafter collectively the municipal parties). The trial court granted the petition allowing service of a late notice of claim against the municipal parties. The Second Department reversed and dismissed the petition, finding, contrary to petitioner’s claim, a delay of four months after the 90-day notice period does not constitute a “reasonable time” under General Municipal Law § 50-e(5). Moreover, the Court held petitioner failed to present “some evidence or plausible argument” to support a finding that the municipal parties were not substantially prejudiced by the four-month delay from the expiration of the statute. Therefore, the Court found “[w]here, as here, there is no reasonable excuse for the delay and the municipal parties did not acquire actual knowledge of the essential facts of the claim within the 90-day period or a reasonable time thereafter, the transitory nature of the injury-producing condition weighs against the granting of an application to file a late notice of claim. PRACTICE POINT: It is generally much easier to prevent the suit from being filed if possible. If the Notice of Claim is not filed in 90 days, I would recommend always opposing the motion to file a late Notice. The basis for whether to extend the 90 days to file the Notice is whether or not the defendant acquired actual knowledge of the essential facts constituting the claim within 90 days of its accrual, or within a reasonable time thereafter, as well as whether the petitioner had a reasonable excuse for the failure to serve a timely notice of claim, and whether the delay substantially prejudiced the municipal parties in their defense on the merits. Strongly recommend fighting this fight, motions to extend are being denied much more often these days. Remember that only the municipal defendants need to be sued within the year and 90 days and that time limit is not extended. Morocho v Boulevard Gardens Owners Corp. Plaintiff, a construction worker, allegedly was injured when he fell from a moveable scaffold while renovating a unit in an apartment building owned by defendant. The trial court granted plaintiff’s summary judgment motion on his Labor Law §§ 240(1) and 241(6) claims. The Second Department affirmed, finding plaintiff met his prima facie burden of demonstrating a violation of Labor Law § 240(1) and that this violation was a proximate cause of his injuries, through his uncontradicted deposition testimony that he fell from a scaffold that did not have safety railings and he was not provided with a safety device to prevent him from falling. PRACTICE POINT: Falling from a scaffold with no safety rails and no fall protection is likely to be a summary judgment case virtually every time. There is simply no way to argue that the safety device, the scaffold, was adequate where the rails were missing. 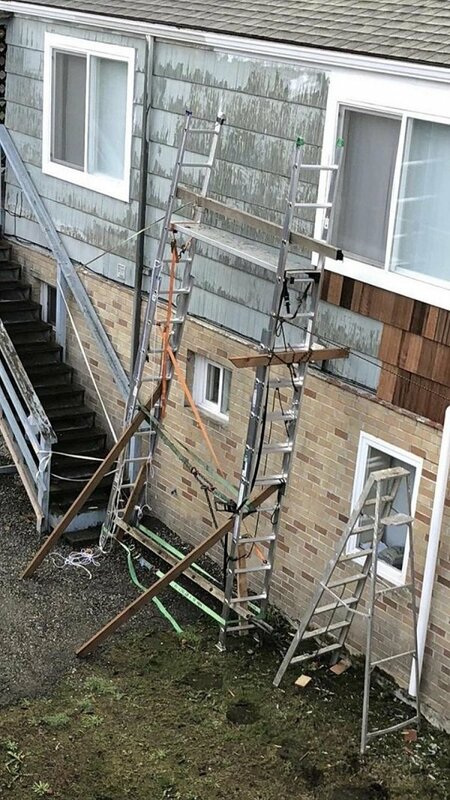 The Second Department further held that plaintiff established a prima facie violation of Labor Law § 241(6) by demonstrating the scaffold was a moveable scaffold that lacked safety railings in violation of Industrial Code regulation 5.18(b). Plaintiff allegedly was injured while installing insulation on defendants’ premises, when a ladder on which he was standing slipped, causing him to fall to the ground. His employer was a contractor hired by defendants to perform the work. The trial court granted defendants’ summary judgment motion to dismiss the complaint based on the applicability of the homeowner's exemption to Labor Law §§ 240(1) and 241(6) claims. The Second Department affirmed, finding that defendants made a prima facie showing defendant Frank Mascioscia intended to reside on the second floor of the premises after the renovations were completed. In opposition, plaintiff failed to submit evidence in support of his contention that defendants intended to rent out the second floor of the premises. Interestingly, the Court noted that plaintiff did not argue defendants directed or controlled his work. Plaintiff allegedly was injured when he fell through the roof of a building owned by defendant, Cup of Tea, while renovating the third floor of a three-story apartment building. Atweek was the general contractor for the site. The trial court denied plaintiff’s summary judgment motion as to liability on his Labor Law § 240(1) claim against Cup of Tea and denied Atweek’s motion to dismiss the complaint and all cross-claims based on the exclusivity provisions of Workers’ Compensation Law § 11 and § 29(6). The Second Department reversed and dismissed plaintiff’s complaint against Atweek as the Workers’ Compensation Board determined at a prior hearing that Atweek was plaintiff’s employer even though Atweek’s President testified in this action that plaintiff was not Atweek’s employee. However, the Court affirmed denial of plaintiff’s motion for summary judgment against Cup of Tea, finding that plaintiff failed to demonstrate prima facie that the partial collapse of the roof and, in turn, the need for safety devices to protect plaintiff from that hazard, were foreseeable. The Court rejected, as inadmissible hearsay, plaintiff’s testimony that he was told that the roof collapsed because the beams from the third-floor ceiling had been cut. PRACTICE POINT: Foreseeability, as an element of a labor law case is not often recognized, but it is a valid element and should be addressed in cases such as this, where foreseeability is an issue. If it had been the defendant who had removed a support that weakened the beams then foreseeability would not be a factor as they would have created the defect. Plaintiff, a journeyman carpenter, allegedly fell from a 12-foot A-frame ladder on which he was standing while installing sheetrock over a doorway. The ladder was in the closed position. Before climbing the ladder, plaintiff leaned the ladder against the metal framing of a wall, but the ladder slipped, causing plaintiff to fall. The trial court granted defendants’ summary judgment motion seeking dismissal of the Labor Law § 240(1) claim. 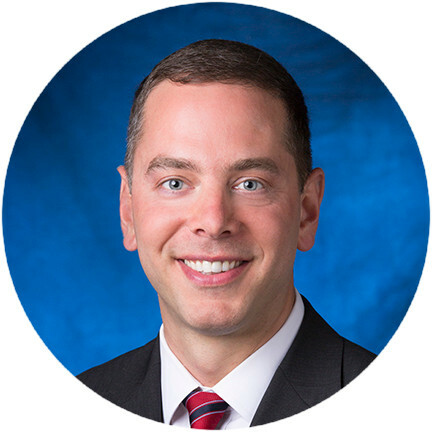 The Second Department reversed the trial court’s decision, finding that defendants failed to satisfy their prima facie burden of establishing plaintiff's actions were the sole proximate cause of his accident. Specifically, the Court held defendants failed to eliminate all triable issues as to whether the ladder could have been placed in a manner that would have allowed plaintiff to safely perform the work, nor did defendants establish that plaintiff used the ladder in such a manner without the tacit approval of his supervisor. Specific to its finding on the use of the ladder in the closed position, the Court further held that “[a] worker's decision to use an A-frame ladder in the closed position is not a per se reason to declare him the sole proximate cause of an accident”, citing Noor v City of New York, 130 AD3d 536, 540 (1st Dept 2015); Rico-Castro v Do & Co. N.Y. Catering, Inc., 60 AD3d 749, 750 (2d Dept 2009). 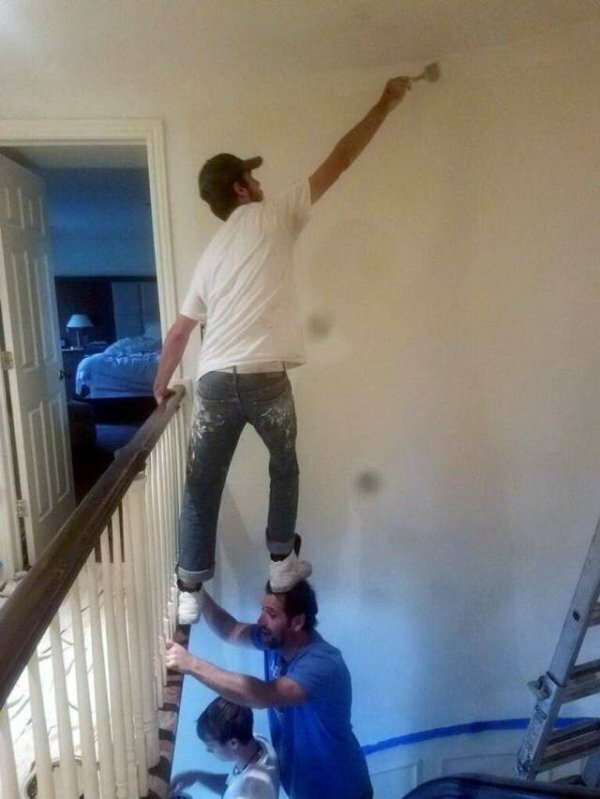 PRACTICE POINT: The real issue here is if there was a valid reason for the plaintiff to use the ladder in the manner he did. It is always critical to check off all the boxes in a sole proximate cause defense. They are 1) that an appropriate safety device was 2) available to the plaintiff which he has been 3) instructed to use or knew he was to use which the plaintiff 4) failed to use or misused 5) for no good reason. Here, the no good reason was not met to the liking of the court. In addition the court questions the instructed to use element as well by questioning if there was “tacit approval of his supervisor”. It is always critical that the foreman or supervisor testify, or by affidavit, state that had he seen the ladder used in that manner that he would have told the plaintiff to open the ladder and use it correctly. McDonnell v. Sandaro Realty, Inc. Plaintiff, a carpenter, allegedly was injured when a plank on a scaffold on which he was standing broke and he fell six feet to the ground. He was employed by Bay, a subcontractor hired to perform dry wall and carpenter work by Howell. J & R, another subcontractor, owned the scaffold. It is disputed which J & R scaffold plaintiff fell from and whether or not he had obtained permission from J & R to use the subject scaffold. At his deposition, plaintiff testified that on the date of his accident, his supervisor, who worked for Bay, and a Howell supervisor instructed him to use the scaffold, and that, when he stepped on a plank on the scaffold, it broke and he fell. Plaintiff also testified that he advised his supervisor that he was okay after he fell and declined to go to the hospital. According to his deposition and that of others, including a Howell employee who investigated the accident later that same day, the scaffold was disassembled almost immediately after plaintiff fell and the broken plank was discarded, although plaintiff’s supervisor took a photograph of the broken plank. The trial court, as relevant here, denied plaintiff’s summary judgment motion for liability on his Labor Law § 240(1), and denied Howell’s summary judgment motion to dismiss the Labor Law § 200 and common-law negligence claims against it. The Second Department reversed and held the trial court should have granted plaintiff summary judgment on his Labor Law § 240(1) claim against Sandaro because plaintiffs established their prima facie entitlement to judgment through the deposition testimony and documents they submitted showing Sandaro failed to furnish or erect a scaffold so as to protect plaintiff from an elevation-related risk in violation of the statute and that the violation was a substantial cause of his injuries. In opposition, the Court held defendant failed to raise a triable issue of fact. PRACTICE POINT: Several issues to address here. First, where a plank breaks on a scaffold and the plaintiff falls, the plaintiff will be granted summary judgment in essentially every instance. 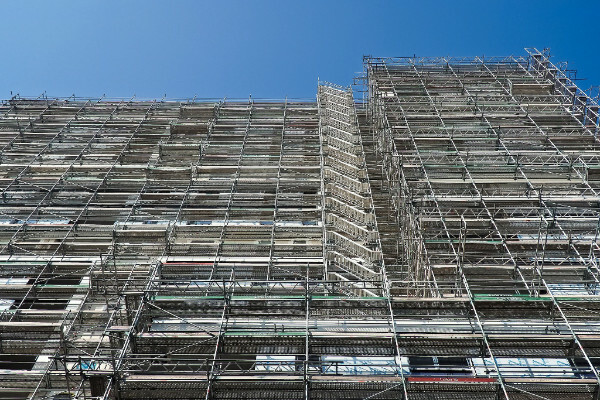 A question of fact as to which entity owned or controlled the scaffolding the plaintiff fell from does not have any effect on the plaintiff’s claim though it does on the various third-party claims. Second, spoliation of evidence. The potential danger from a spoliation claim is extreme. Here, the trial court ordered the striking of a third party action and prevented a party from arguing at all about the condition of the plank. While this was overturned by the Second, it is a warning not to discard evidence, and a reminder that early investigation and evidence retention is critical in all cases. Here, the plank was discarded shortly after the accident at a time when the plaintiff had returned to work and was not requesting any medical attention. The Second Department affirmed denial of Howell’s summary judgment motion as to plaintiff’s claims under Labor Law § 200 and common-law negligence. Howell’s summary judgment submissions included documents corroborating plaintiff’s claim a Howell employees told him to use their scaffold and testimony creating a question of fact regarding which scaffold plaintiff used. 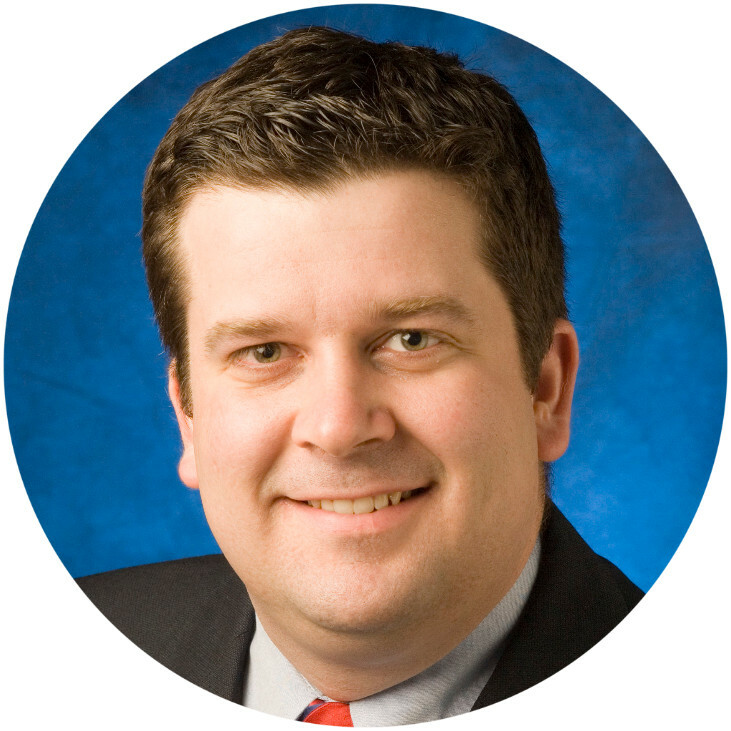 Accordingly, Howell never met its initial burden of proving it was entitled to summary judgment. Therefore, the burden never shifted to plaintiff to raise a triable issue of fact in response. With regard to the contractual indemnity claim at issue, Howell claimed it was entitled to recovery under its contracts with Bay and J&R, respectively. The clause at issue only triggered where the “loss is not caused by the negligence of the Owner and/or Contractor.” Because there remained a question as to whether Howell would be assigned some percentage of negligence, it followed that Howell’s motion for contractual indemnity was premature. With regard to the common-law indemnity claims, all parties moved for judgment. Here, however, there remained questions of fact involving J&R, Howell, and Bay. As such, all motions were properly denied on questions of fact. Plaintiff allegedly was injured when he fell from the top of a temporary oil tank, approximately 12 to 16 feet high, at a building owned by defendant, Park Plaza, and managed by defendant, Metro (hereinafter collectively the Park Plaza defendants). Defendant New York Plumbing, hired plaintiff’s employer to remove the oil from the temporary tank and thereafter clean it. The temporary tank had been connected to the building by New York Plumbing because there was a problem with the building’s underground storage tank. Further, the temporary tank was being used while the building’s heating system was being converted from oil to gas. The trial court denied plaintiff's summary judgment motion on his Labor Law § 240(1) claim against the Park Plaza defendants and New York Plumbing, granted the Park Plaza defendants’ cross-motion to dismiss the Labor Law §§ 240(1) and 241(6) claims against them, and granted the cross-motion of New York Plumbing for summary judgment dismissing the Labor Law §§ 240(1) and 241(6) claims against it. The trial court also denied as academic the cross-motion of the Park Plaza defendants for summary judgment on their cross claim for common-law indemnification against New York Plumbing. The Second Department reversed, finding that plaintiff demonstrated his prima facie entitlement to summary judgment on his Labor Law § 240(1) claim against the Park Plaza defendants and New York Plumbing because plaintiff submitted evidence that he fell from a 12 to 16-foot high surface, and that he had not been provided with safety devices to protect him from such a fall. In opposition, neither the Park Plaza defendants nor New York Plumbing raised a triable issue of fact. As a result, the Court held the trial court should have denied the motions of the Park Plaza defendants and New York Plumbing seeking dismissal of this claim. The Court also found that contrary to New York Plumbing's contention, plaintiff demonstrated that New York Plumbing had the authority to exercise control over his work, even if it did not actually do so, and New York Plumbing was therefore a proper Labor Law defendant. In opposition, New York Plumbing failed to raise a triable issue of fact. PRACTICE POINT: To qualify as an appropriate defendant a contractor must have the authority to supervise, direct or control the means and methods of the plaintiff’s work. It is of no matter if that authority is actually exercised, only that the authority exists. In support of his Labor Law § 241(6) claim, plaintiff relied on an alleged violation of Industrial Code regulation 1.7(d), which provides that “[e]mployers shall not suffer or permit any employee to use a floor, passageway, walkway, scaffold, platform or other elevated working surface which is in a slippery condition”, and is sufficiently specific to support a Labor Law § 241(6) claim. The Second Department held the Park Plaza defendants and New York Plumbing failed to establish that a slippery condition on the oil tank was not a proximate cause of plaintiff’s fall. Thus, the trial court should have denied the Park Plaza defendants and New York Plumbing’s summary judgment motions seeking dismissal of the Labor Law § 241(6) claim. Parkhurst v Syracuse Regional Airport Auth. Plaintiff allegedly slipped and fell on plastic sheeting covering newly-laid carpet after descending a ladder while performing drywall finishing work. The City of Syracuse owned the building and Hueber was the general contractor. The trial court granted defendants’ summary judgment motion seeking dismissal of the Labor Law § 200 and common-law negligence claims. The Fourth Department reversed the trial court’s order dismissing plaintiff’s Labor Law § 200 and common-law negligence claims against the defendants, finding defendants failed to demonstrate they did not exercise supervisory control over the condition of the premises nor that they neither created nor had actual or constructive notice of the dangerous condition on the premises. The Court rejected the argument that plaintiff’s accident resulted from his own methods of work, rather than a dangerous condition on the work site because the evidence showed neither plaintiff nor his employer placed the plastic sheeting on the floor. Consequently it was not a part of plaintiff’s method of work. The Court also rejected defendants argument the plastic sheeting was an open-and-obvious hazard. Whether a condition is readily apparent impacts on a plaintiff’s comparative negligence, but does not negate the defendant’s duty to keep the premises reasonably safe. Moreover, an open and obvious condition is not actionable when it is inherent in the work. In this case, however, the defect complained of was a condition on the floor, not in the drywall finishing work plaintiff was performing. 1. 12 NYCRR § 23-1.13 – Protection in Construction, Demolition and Excavation Operations; General Provisions; Electrical hazards. 2. Regulation § 1.13(b)(5), entitled “Guarding of switches or other circuit interrupting device” states that “[i]f protection for employees consists of de-energizing circuits, employers shall cause open switches or other circuits interrupting devices to be guarded against inadvertent closing until such employees are no longer exposed”, and been deemed sufficiently specific to support a Labor Law § 241(6) claim. 4. Adams found a question of fact whether reg was violated where Δ failed to take adequate precautions to ensure that wires in the junction box which injured π was working properly were properly de-energized, precluding summary judgment.